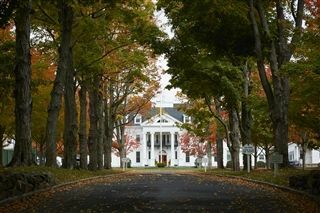 Welcome —we are delighted that you have decided to consider New Canaan Country School. Country School students, from Beginners through Grade 9, are eager participants in their education, thriving in an atmosphere of high expectations, mutual respect and individual attention. 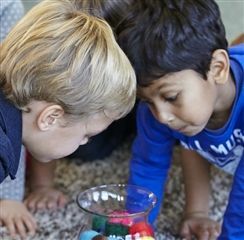 An extraordinarily talented and devoted faculty engages our students in developmentally-appropriate ways by delivering a challenging curriculum that introduces academic skills as well as fosters creative and critical thinking. Diversity of thought, experience and background among students and faculty alike enriches our classrooms and enlivens our campus. Individuality and independence are valued characteristics here; collaboration is an essential skill. Students who graduate from Country School enter secondary school with confidence, ability, and character. They look back at their Country School experience with fondness, grateful for the preparation they received in the context of a caring community. The admission experience is meant to provide parents and students with the opportunity to explore our people, program and community with the hope that you can determine whether we are a good choice for your child and family. The campus visit, the application and our assessment all help to determine whether our program can not only serve your child but also allow him/her to thrive here. Whether you have already decided to apply or are still deciding, we hope you will begin the process by scheduling a visit to our campus for a one-on-one chat and tour with a member of the admission team. Our priority application deadline was January 15; however, we welcome late applications on a space-available basis. Please call the admission office for more information. Please visit our How to Apply page for detailed information regarding next steps in the admission process. Again, welcome to Country School. We look forward to meeting you and to learning about your child, as well as to revealing the ways in which Country School's mission emanates from every corner of this remarkable community.